For the complete lists of animals featured in the Physiologus, see Physiologus, Wikipedia. For a shorter list of these animals as well as their attributes, go to Medieval Bestiary: http://bestiary.ca/manuscripts/manubeast1345.htm. The Physiologus may not have been as popular as the Bible, but nearly so. “It was translated into Latin (first in the 4th or 5th century), Ethiopian, Syriac, Arabic, Coptic, and Armenian. Early translations from the Greek also were made into Georgian and into Slavic languages.”[iv] It was then translated into several other languages. However, the symbolism attached to these allegorical animals may have changed and new symbols may have been added as various manuscripts wound their way through translations and possible “editions” of some original Physiologus. A thousand years elapsed between the publication of the Physiologus and that of the Aberdeen Bestiary. Mythical animals may inhabit mythologies, east and west, but unlike the Minotaur of Greek mythology, they are legendary beasts who do not have a lineage. 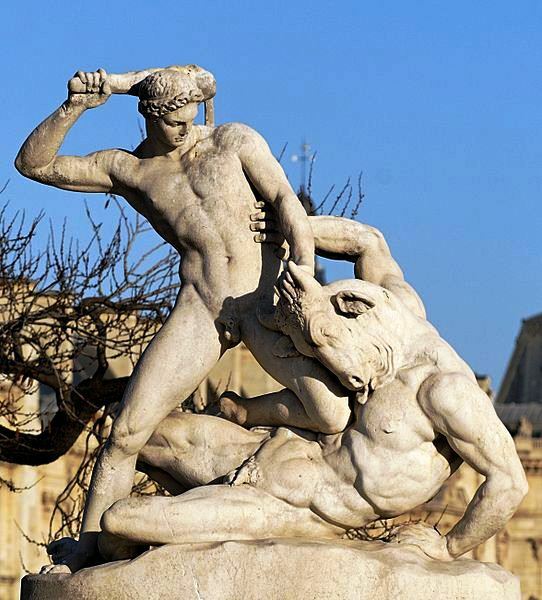 In this regard, they differ from Greek mythology’s Minotaur who is the son of a bull and Phasiphaë, the daughter of Helios and the wife of Theseus, the mythical and mythological — Greek mythology — founder-king of Athens. As for Pegasus, the winged horse, he is the offspring of Poseidon and Medusa. However, among the fifty or so beast Physiologus depicts, there is a Centaur, a zoomorphic — half human, half horse — mythological animal as well as the Siren of Greek mythology. The reality of these “fantastic” animals is poetical. It is the reality that J. K. Rowling used when she wrote the Harry Potter series. For instance, she featured the mythical phœnix, who is described in the Physiologus as an animal that rises from its own ashes and therefore represents Christ rising from the dead three days after his crucifixion. Similarly, the legendary pelican kills its off springs and, three days later, revives them by feeding them her blood. 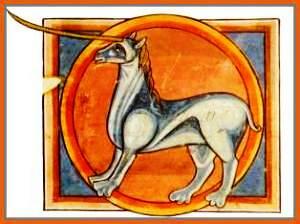 [viii] The author of the Physiologus may have borrowed from “pagan” sources, but his interpretation of the 50 animals, plants and stones is a Christian interpretation, which would suit medieval and Christian authors of bestiaries and artists depicting the fanciful animals bestiaries featured. The animals featured in the Physiologus are in fact all the more “marvellous” and poetical in that they are zoomorphic, i.e. combining human and animal features, which is the case with the Centaur. 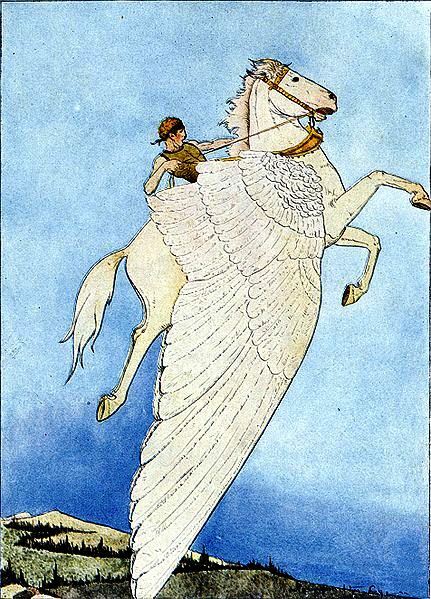 But mythical and mythological animals may also combine the features of several animals, which is the case with Pegasus, the winged horse. However, whatever their appearance, these animals all stand for human beings or all symbolize human attributes. They are not humans in disguise, but allegorical or animals depicting mankind. However, what is most fascinating about these animals is that they are part of our world. 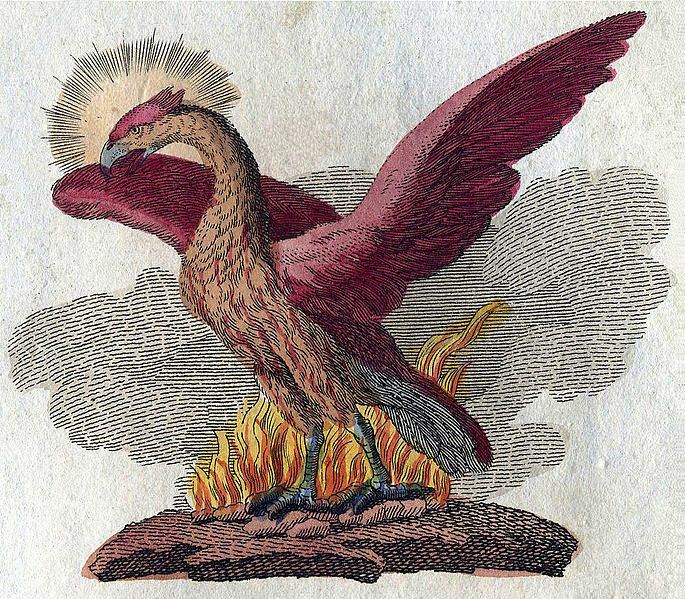 They are fanciful and the iconography attached to them, mostly delightful, but it could be that we actually need the phœnix. If the phœnix rises from its ashes, we can also rise again, whatever ordeal has befallen us. As for the pelicans who stretch maternal love to the point of reviving dead off springs by feeding them their blood, they are quintessential motherhood. In other words, both the Physiologus and bestiaries it inspired tell our story, and that story is one we created. Angels have wings, yet we swear on the Bible. [i] “bestiary”. Encyclopædia Britannica. Encyclopædia Britannica Online. [v] “Physiologus”, Oxford Dictionary of Classical Myth & Religion (Oxford: Oxford Clarendon Press, 2003). [vii] Donald Ray Schwartz, Noah’s Ark, An Annotated Encyclopedia of every Animal Species in the Hebrew Bible (Northvale, New Jersey: Jason Aronson Inc., 2000). Thank you so much, dear Micheline for your aricolul always interesting and well documented! All my respect for your work! Thank you Stefania. You’re very kind. I am intrigued that the Physiologus was translated in to Ge’ez (Ethiopic). Do you know much about the illuminated manuscripts of Ethiopia. Apparently the British Library has 800 manuscripts in its library. No, I don’t. I simply know that manuscripts of Kalila wa Dimna were illuminated. The unknown author of the Physiologus lived in Alexandria and that his manuscript was illuminated. My eye is fine, but working at the computer is not a good idea.